Next week on April 22, we’ll celebrate the 49th Earth Day! Artists have found numerous ways to incorporate environmentalism into their work – whether it’s highlighting the natural beauty of a flower (like Georgia O’Keeffe) or designing posters to bring awareness to issues (like Friedensreich Hundertwasser), artists have been activists for decades! 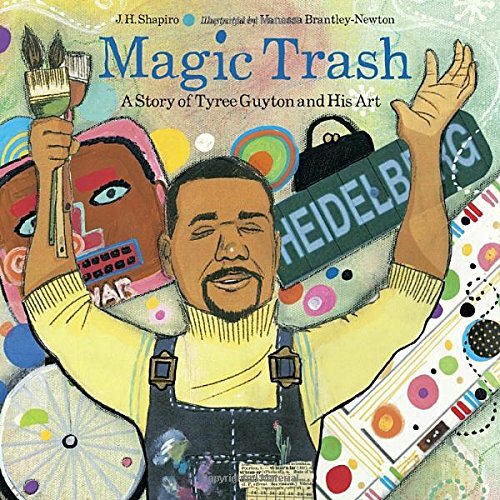 Today let’s take a closer look at the art of Tyree Guyton – an urban environmental activist – who transforms everyday trash into magical works of art! Growing up in Detroit, Guyton started collecting discarded items and repurposing them into toys or games a child. When his neighborhood was transformed into a row of vacant houses that began to attract criminals, Guyton put his boyhood hobby to good use! He rallied his neighborhood and together they got to work. With Tyree’s vision, and the help of his community, they did something remarkable. The transformed those big city problems into a beautiful work of art! And he helped the environment along the way by reusing and repurposing found objects. Learn more about the amazing evolution of The Heidelberg Project, and see what the neighborhood looks like today! You can read more about Tyree’s amazing work in this fun children’s book, and then invite your kids to make a project of their own! Look around your house and yard. Collect ‘trash’ items are not being used. Gather some other supplies – glue, string, tape, colorful acrylic or tempera paint, and brushes. Paint the trash and transform it into something beautiful! Assemble a sculpture. Create a mobile. Or do something else… let your materials inspire your creativity. Display your art on your front porch, in your garden, or in your home! 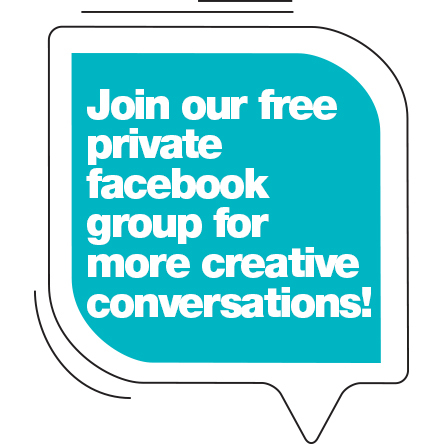 Show off your projects in our private Facebook group! We love to share our art adventures there, and it would be fun to see what your kids create!